We track-tested all of our axles, wheels and lubes to measure the average speed increase you can expect from each product. We also tested speed hints such as raising one wheel, weight placement positions, wheel spacing and the rail rider technique. We ran hundreds of races using controlled experiments to get statistically valid results. Experiments were controlled by replacing a single item on the same car and then running that car down the same lane 10 to 12 times on the same day to minimize variability. We used a spacer gauge to gap the wheels to eliminate wheel spacing variations. We did NOT use graphite because uneven application of graphite would add variation. The resulting data was cleansed, averaged and charted so you can see the exact speed increase you can expect over stock components. 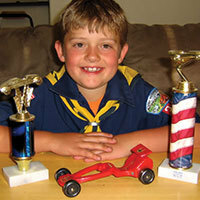 While our experiments were highly controlled, please read our notes about Things Beyond Your Control to see why Pinewood Derby will always have variability, and unpredictability, which is the very thing that has made this event fun for over 50 years! Tests were performed on a 6-lane aluminum Best Track with a Fast Track electronic timer. We hope you find this data helpful in selecting products for your race. Increase speed by .304 seconds. Increase speed by .409 seconds. Increase speed by .408 seconds. Increase speed by .439 seconds. Increase speed by .479 seconds. Increase speed by .516 seconds. What is faster? Graphite-coated or NyOil coated axles? Track tests proved our graphite-coated axles are .168 sec faster than NyOil coated axles. Will increase your speed by an average of .406 seconds vs stock BSA wheels. Increase your speed by an average of .497 seconds vs stock BSA wheels. Our exclusive graphite-coating on the treads and hub increase speed by an avg of .091 seconds. Will increase your speed by an average of .747 seconds vs stock BSA wheels. Will increase your speed by an average of .827 seconds vs stock BSA wheels. Our exclusive graphite-coating on the treads and hub increased speed by an avg of .080 seconds. will increase your speed by an average of 1.52 seconds. Will increase your speed by an average of .297 seconds over stock wheels. Tests were performed with our Nickle Plated Speed Axles. We did not use graphite for our tests because we did not want to introduce variability where too much, or too little, graphite was added to an axle. Awana Ultra Lite Speed wheels are precision lathed on the outside tread, inside tread, rim, hub and inside of the wheel to lighten it, giving you a fast start and perfect concentricity as it flys down the track. 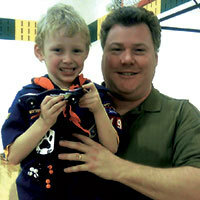 NOTE: These wheels are not for Cub Scouts BSA races. This test was performed using our PRO Super Speed axles. We ran the same car 10 times with no graphite. Then we removed the axles, added our PRO Graphite, then re-inserted the same axle and wheel into the same position on the same car and ran it down the same lane another 10 times. 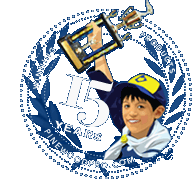 Pinewood Pro Graphite on PRO Super Speed axles will take an average of .544 seconds off your time...adding graphite is the single most important thing you can do reduce friction! You MUSTadd graphite to your axles! We did an interesting experiment...we ran the same car down the same lane over and over with NO CHANGES. The speed varied by as much as .105 seconds using a rail rider car (26 runs) and .271 seconds for a non-rail rider car (19 runs). Tracks have joints where sections meet. Joints don't match perfectly, making the car jump at the joints. Powdered graphite blows off with each run. Statistical sampling showed an average speed loss of .019 seconds per run. 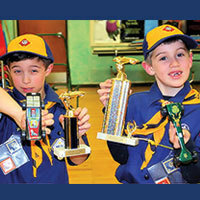 Bottom Line is...pinewood derby racing is unpredictable, and that is why it has been so much fun for over 50 years! So, Pick your best products, Do Your Best, and enjoy the ride! Our products and track testing will help you do your best...we leave the fun part to you. A lathed wheel means the wheel was turned at a high speed and "sanded" with a cutting tool. Lathed Wheels are perfectly tuned around the axis of rotation giving you the highest performance.